Office Cleaning Services Chicago: Need Help Communicating With Your Cleaning Company? 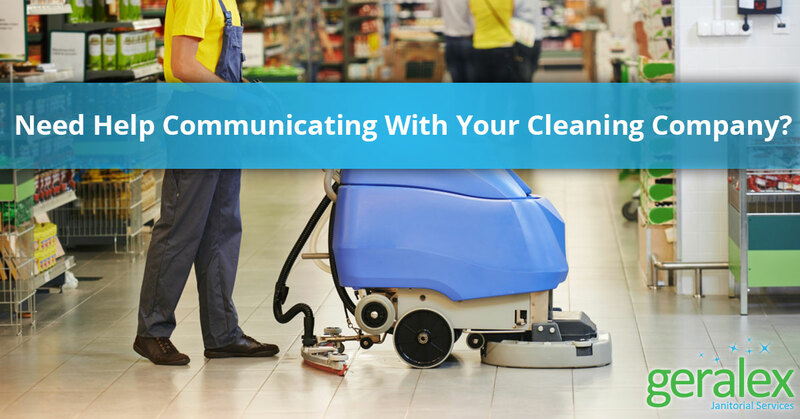 In the previous blog, we discussed six questions to ask a potential commercial cleaning service, one of them being “how do we communicate?” Chicago businesses can be environments where everything is fast paced and can sometimes be quite messy and it’s essential that there is a clear method of communication between your business and your office cleaning service. 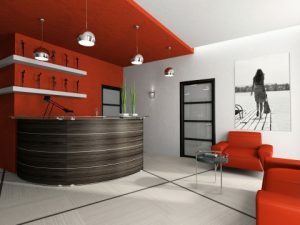 In this post, we will go in depth about communicating your wants and needs to ensure that we are doing everything possible to make your day smoother and your office cleaner. When you are searching for a potential janitorial service, it’s important to know from the beginning if they can handle everything you need. Depending on the industry of your business, you may have specific needs that require a certain kind of cleaning service. Schools, for example, can benefit from a thorough cleaning that will differ from the standard office setting. Hospitals or industrial businesses will have even more specific cleaning requests. Communicate thoroughly what cleaning requirements your business has and make sure any potential office cleaning service can meet your expectations. After signing up with a cleaning company, complete a detailed walk-through of your facility so that your service knows exactly where cleaning products are stored, what spaces need special attention and other requirements you may have. If time permits, walk through your offices and make a list of what you want to be done and what your expectations are. This will make it easier to lay out exactly what your requirements are. While walking through your facility with the new cleaning company, it’s important to be as detailed and specific as possible. If there is a pile of papers on your desk, do you expect the service to move them to clean your desk? Or should desks be left alone? Note where cleaning supplies are located. Discuss the process of what happens when cleaning supplies are running low. Discuss the frequency of cleaning. Keep in mind that some tasks won’t need to be completed with each visit. The more detailed you can be, the less chance of mistakes happening in the future. When Happens When a Problem Occurs? With many janitorial services, there will be an on-site team that you can communicate with first when problems occur. If staff aren’t on duty during work hours, prepare a process ahead of time for communicating special requests, needs, or issues. Whether that’s writing a note or leaving a voicemail, your new cleaning service will want to know right away if there are issues so that they can be resolved as quickly as possible. If issues are not being resolved in a timely manner, there is typically an account manager that you can speak to. This contact information is typically set up at the beginning of your contract and your account manager will be able to address issues on a deeper level. At Geralex, our clients’ satisfaction is always a priority and we will do our best to communicate effectively to reduce the chance of errors occurring. Any office cleaning service will want to know if they are meeting expectations. When requirements and expectations are not met, it’s essential to know any as quickly as possible in order to resolve the issues. When your business is spending money on this service, it’s important that everything is done correctly. When you work with Geralex, we want you to know that you shouldn’t be afraid of pointing out issues that are not meeting your expectations. Whether we are cleaning your airport bathrooms, school cafeteria, or your office’s reception area, communication throughout the entire process is crucial. From the very beginning, we want to create a relationship that is based on quality, trust, and professionalism. Through a clear communication plan, you can trust our cleaning company to provide your business with a better clean.